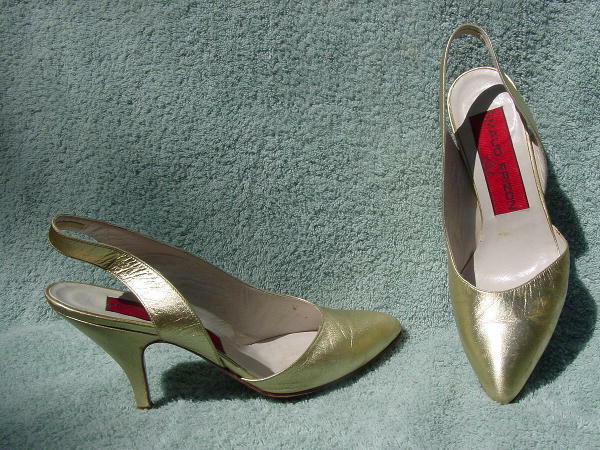 These gold lame all leather slingbacks are by Maud Frizon Club and were made in Italy. The outer sides have open shanks. There are scuff marks on both shoes and the left shoe heel has some small scrapes below where the heel of the foot sits. They have offwhite leather linings and insoles.